Today, we are doing our review of the iRobot Roomba i7+. The i7+ is the newest robot to join the iRobot family and is easily the most advanced robot that iRobot has ever built. First, let’s take a look at the design. On top, we have the control interface and buttons, including the clean button to start and stop cleans, home button to send Roomba back to base, and spot button to start spot clean sessions. 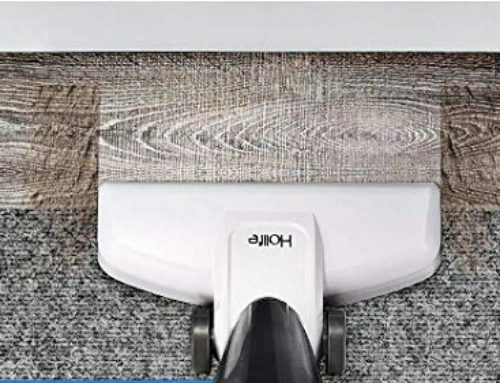 The bottom side of the vacuum features a spinning brush, three wheels, navigation sensors, rubberized brush rolls, and a vent that is used by the base to empty itself. One of the most noteworthy features on the i7+ is the new smart base. The base acts as Roomba’s home and provides a location Roomba can automatically return to recharge itself as needed. However, the base also allows Roomba to empty the dustbin contents into the base. 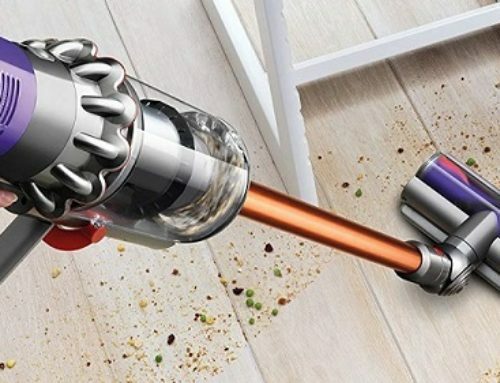 The base can hold up to 30 full loads of debris from the i7+ allowing the Roomba to vacuum your home for weeks or even months at a time without ever needing to be emptied. The Roomba i7+ robot has a diameter of 13.3 inches and a height of 3.6 inches. Additionally, the i7+ weighs 7.4 pounds. The new i7 smart base is 19 inches tall, 15.1 inches deep, and 12.2 inches wide. The Roomba i7+ comes with several important accessories including: the smart base, two disposable bags for the cleaning base, one virtual wall barrier, two high efficiency filters, and two spinning brushes. All our vacuum reviews are tested on three different floor types and against four different debris types. For each test, we measured the percentage of debris cleaned. Cleaning performance on the i7+ for hardwoods, low pile, and high pile carpets was virtually flawless across the board. The Roomba i7+ removed 99.75% of all debris on hardwoods, 99.75% of all debris on low pile carpets, and also removed 99.75% on high pile carpets. The iRobot’s cleaning performance is by far the best cleaning performance we have tested to date. The previous best robot vacuum cleaner was the Roomba 980 which scored a still very impressive 95%. Nevertheless, the new i7+ easily crushed the 980’s cleaning performance especially on high pile carpet where we documented a cleaning performance increase from 87% on the 980 to 99% on the i7+. Set up on the i7+ is simple and straightforward, simply plug in the base, put the Roomba on the base, give it some time to charge, then press clean. Additionally, you can control the Roomba i7+ with your smartphone. The setup does take five to ten minutes but it is fairly painless. Once setup, you’ll be able to start and stop the i7, create and modify cleaning schedules, view cleaning history, find the Roomba if it gives lost, and most importantly, set up smart imprint mapping. Lastly, to empty the dustbin, you simply pop the top back off the smart base, remove the bag, and empty into the trash. If you ever need or want to empty the dustbin by hand on the robot itself, you can do that as well. Additionally, it is worth noting that the new i7+ dustbin is washable, though make sure you remove the filter first. The Roomba i7+ checks all the maneuverability and mobility boxes on my list. It has a 75-minute run time, which isn’t super long. However, the recharge and resume feature means it can head back to base and charge itself up as needed. The size allows it to get into hard-to-reach spots, like under beds and around furniture. And lastly, iRobot software navigation AI does an excellent job of propelling the Roomba around your home, remember where it has been, and where it still needs to clean. To maintain the Roomba i7+, you’ll need to regularly replace the spinning brushes and filter. Beyond that, you will need to eventually replace the rubberized brush rolls, battery, and disposable bags for the smart base. However, these parts should last substantially longer. The battery has a capacity of 1800 milliamps and a runtime of 75-minutes. – You want the absolute best cleaning performance. The Roomba i7+ offers easily the best cleaning performance we have tested in a robot vacuum to date. It was a full 5% better than the second-best, the Roomba 980. The i7+ overall cleaning score came in at an astounding 99.75% across all debris types. – You want the coolest bells and whistles. The i7+ has got everything. Most notably, we have the self-emptying dustbin, which I believe is the first of its kind. But in addition, you also get smart phone control, smart mapping, recharge and resume, voice control, and the ability to clean rooms by name. – And lastly, budget isn’t an issue. There is no question. This is an expensive robot. 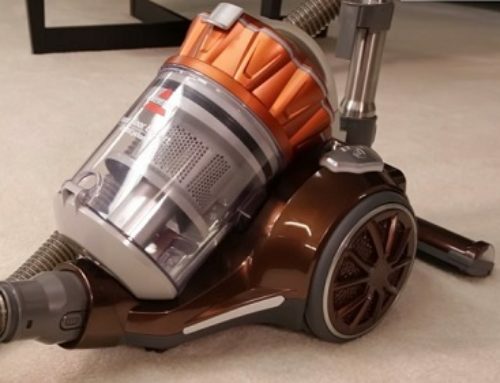 In fact, it’s the most expensive robot vacuum we’ve tested to date. If you’re looking for budget options, you should check out the Roomba 690 or Roomba e5. However, if budget isn’t a concern for you and you just want the absolute best robot on the market, then the iRobot Roomba i7+ is going to be your best bet.